Romantic and intimate weddings with just the groom and the bride. I was lately hired by a young lovely Russian couple to shoot their Orthodox wedding in Venice. The ceremony took place in San Zan Degolà Church, one of the few Orthodox churches in Venice which I already had the chance to portray during a former wedding photo service. 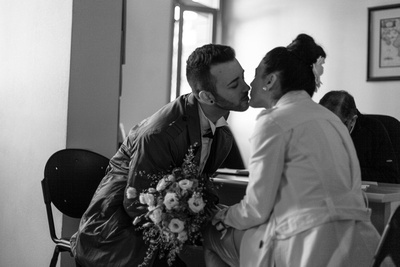 Efi and Gianni’s wedding was really special: no relative was present, no friends, no make-up artist, no hair-stylist…just the two of them, the photographer in charge of their wedding photo reportage and the office employees at the Greek Consulate in Venice. In some way the wedding reminded me of the “elopements” that used to take place in the past when couples had to get married far away from home to avoid objections from parents. Nowadays similar weddings do take place but are more like a kind of destination weddings, with couple performing the wedding rites in another place than home just to enjoy more privacy or get the most of a romantic environment. The couple walked along Venetian alleys on their way to the Greek Consulate and I had the chance to shoot very intense romantic couple photographs. Efi and Gianni just wanted an intimate, very informal wedding ceremony before attending a traditional marriage in Greece later on. The result was a very romantic and intense day both for the couple and for me, as I was chosen as their wedding photographer in this special day. The wedding ceremony took place in the Greek consulate and the couple’s passion enhanced each shot of the wedding photo shooting. The couple enjoyed many romantic and intense moments during the rest of the day: during an informal photo walk on their way to the Greek consulate, when they stopped to kiss and hug along the channels and on the public ferry boat; during the wedding civil ceremony when their joy and passion enlivened the cold atmosphere of an administrative office in the consulate; during the final walk in Venice when their relaxed mood allowed even more spontaneous and lively shots to be made. A simple great wedding….no match for any big fat Greek wedding! Passion and joy enlightened this simple and informal wedding ceremony and allowed very intense shots to be made during the photo service. 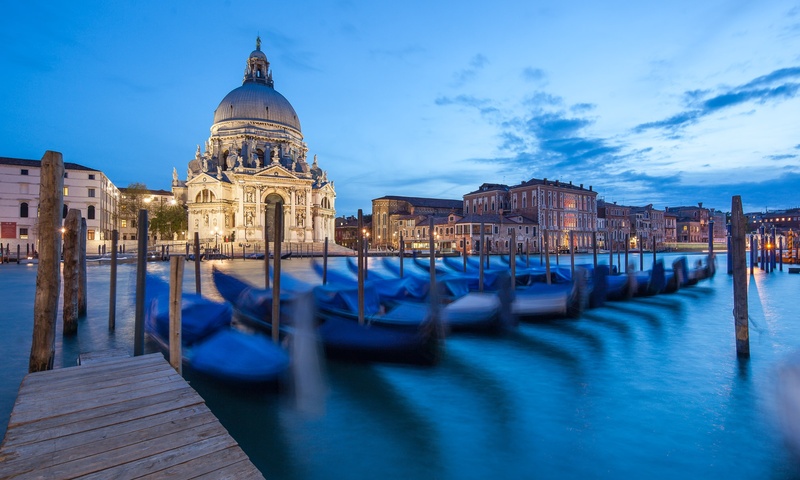 For further examples of wedding photo services in Venice see my website.